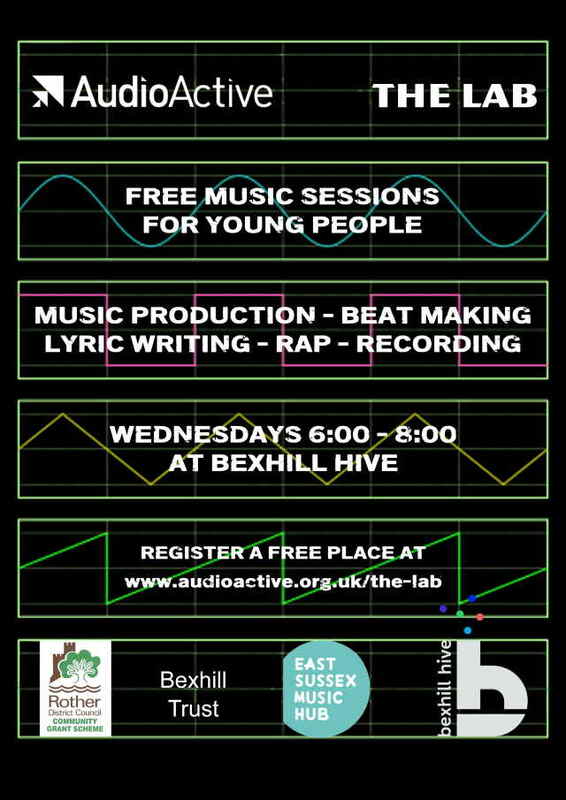 The Lab – a space to write, rehearse and record at The Hive, Bexhill. It’s like an oasis for young beat makers emcees and vocalists to meet like-minded people, create and record collaborative work. The project is delivered by such esteemed artists as DJ Skitz and rapper Jon Clark. The Lab family have created an acclaimed album featuring UK Legends Genesis Elijah & Jam Baxter There are also regular opportunities to perform.